From satyrs and sea creatures to griffins and dragons, monsters lay at the heart of the medieval world. Believed to dwell in exotic, remote areas, these inexplicable parts of God's creation aroused fear, curiosity and wonder in equal measure. Powerfully captured in the illustrations of manuscripts, such as bestiaries, travel books and devotional works, they continue to delight audiences today with their vitality and humour. Medieval Monsters shows how strange creatures sparked artists' imaginations to remarkable heights. Half-human hybrids of land and sea mingle with bewitching demons, blemmyae, cyclops and multi-headed beasts of nightmare and comic grotesques. 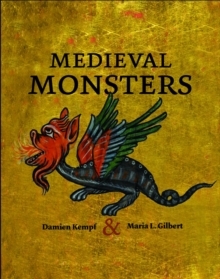 Over 100 wondrous and terrifying images offer a fascinating insight into the medieval mind.